Each year we care for over 900,000 people who come to us for emergency treatment, planned operations and medical care. We are a teaching hospital in partnership with Keele University and we have a patient-centred clinical research facility providing state-of-the-art facilities. Our new £370m hospital became fully operational in 2015. Development work is continuing at County Hospital. University Hospital has two sites: Royal Stoke University Hospital, located in Stoke-on-Trent , and County Hospital, located in Stafford (below). County Hospital was built in 1983. More than 150,000 patients attended our Accident and Emergency departments. Many emergency patients are brought to us from a wide area by both helicopter and land ambulance because of our Major Trauma Centre status. We continue to work towards foundation trust status, in particular building on our links with the public and developing our strategy with a view to becoming a Foundation Trust by 2017-2019. 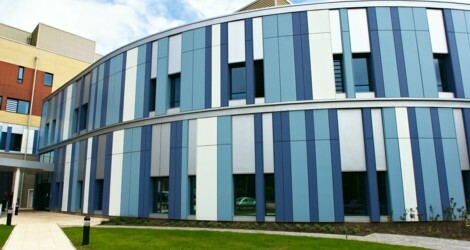 The first new clinical buildings, the Maternity Centre and the Cancer Centre (pictured here), opened in 2009. The Trust completed its move into the new Main Building in 2012 and the Kidney Unit, which was the last to move, did so in December 2012. 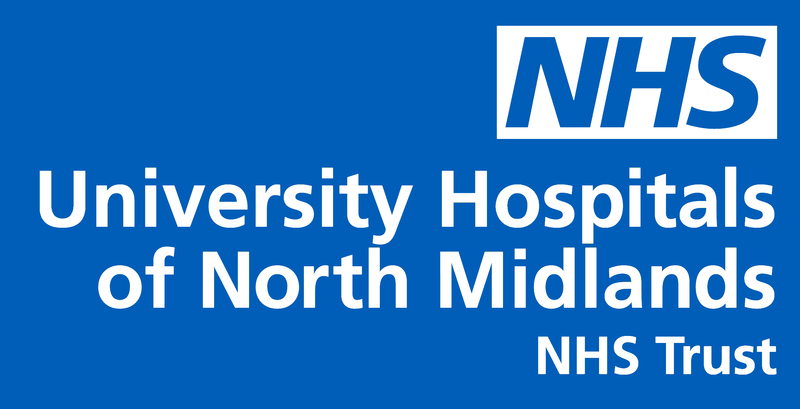 The new Royal Stoke University Hospital is part of a private finance initiative (PFI). In addition to the new construction, some of the existing buildings were retained and refurbished. The final move in December 2012 saw the opening of the new £12m Kidney Unit. The Renal Unit was the final clinical service to leave the Royal Infirmary after its 147 year history. There were a few tears when the final day came, after all, the Royal Infirmary (shown below) had touched so many hearts and had many stories to tell. Many iconic buildings that were sadly not fit for 21st Century healthcare were removed. But many, including the old Chapel and A Block have been saved for future generations to enjoy.